Heparin is a naturally occurring glycosaminoglycan that is found in mast cells. Most commercially available heparin is manufactured from porcine or bovine origin. Heparin's mechanism of action is on both the extrinsic and intrinsic coagulation pathways. It does not significantly change the concentration of clotting factors, but rather blocks the clotting pathways. Heparin will not dissolve an existing clot. Heparin does not cross the placenta and is used with caution during pregnancy when the benefits of anticoagulation are felt to outweigh the risks. The FDA classifies it as a Class C drug. Heparin must be given either intravenously or subcutaneously. It is not absorbed orally and should not be given intramuscularly due to hematoma formation. With the exception of IV catheter maintenance, most heparin use is in animals with serious medical problems and will require close supervision and hematologic monitoring. Heparin is used in a variety of medical conditions where there is excessive clotting or increased risk of clot formation. 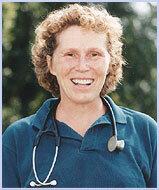 These may include thromboembolic disease, pancreatitis, laminitis, endotoxic shock, and burns. It also is used commonly for the maintenance of intravenous catheters. Heparin commonly was used to treat disseminated intravascular coagulopathy, but that use is becoming controversial. Hypersensitivity reaction may occur due to the foreign protein. Numerous rare side-effects include decreased kidney function, osteoporosis, vascular spasm, electrolyte abnormalities, and hyperlipidemia. Heparin should not be used in animals with severe thrombocytopenia, those that are actively bleeding, or have uncontrollable bleeding. There is wide variability in the response to heparin and a wide range of recommended doses. Regular monitoring of clotting function is important particularly during the early stages of treatment. Heparin should be used with caution when used with other drugs that affect coagulation such as NSAIDs, aspirin and warfarin. Heparin may reduce the effects of corticosteroids, insulin and ACTH. Antihistamines, nitroglycerin, digoxin and tetracycline may decrease the effects of heparin. Heparin overdose is associated with bleeding. Before frank bleeding occurs, subtler symptoms may include bruising, petechiae, and blood in the urine or stool. Protamine is the drug of choice for heparin toxicity. Protamine will bind with heparin and neutralize the anti-thrombin effects within five minutes of intravenous injection.